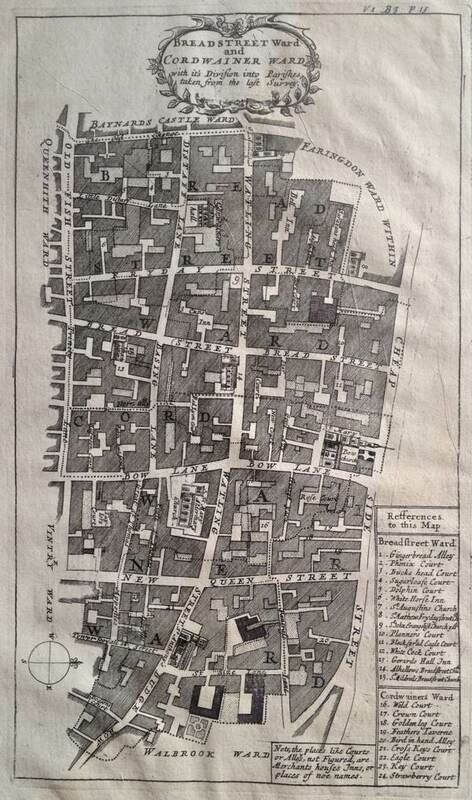 It seems almost unimaginable now to envisage the City of London when it was densely populated and packed with thriving small trades, before the residents departed and the financial industry took over to deliver the Square Mile as we know it today. 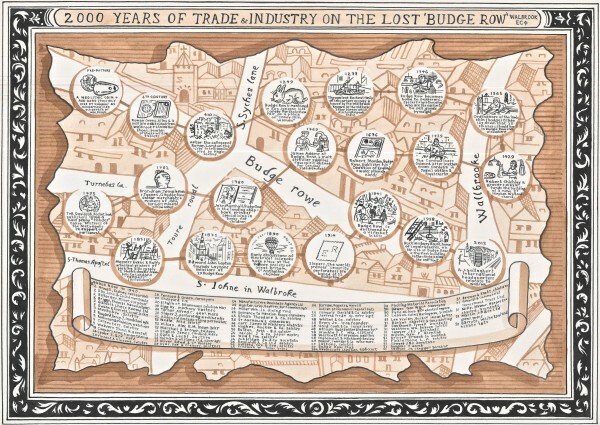 Yet London’s most creative cartographer, Adam Dant’s, new map of Budge Row is a just such an endeavour – by conjuring the multifarious life of one street in the City which no longer exists. 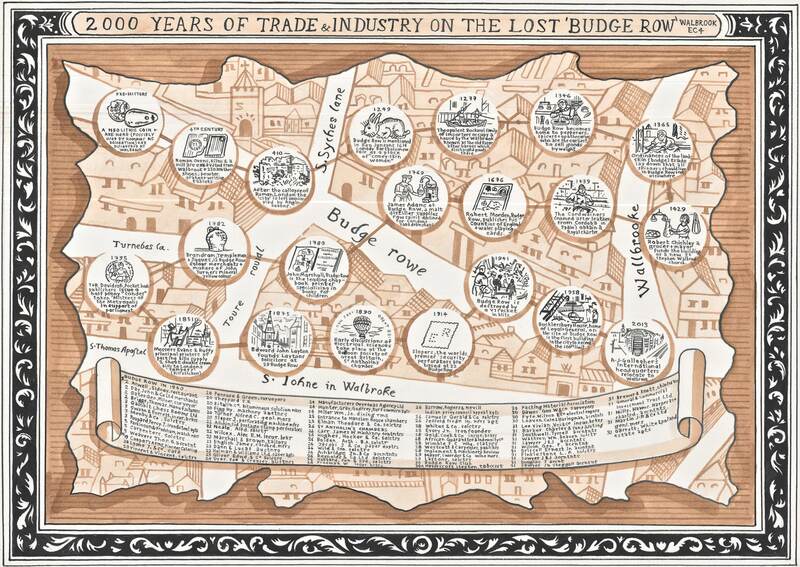 Yesterday, Adam & I climbed up onto the roof of Number One Poultry to look down upon the site of the former Budge Row, now engulfed by the City’s largest building site, and wondered at the lost industry and culture of two thousand years in a single thoroughfare. “I think there’s a moment of recognition for Londoners, when they pass by and look into these huge excavations, of their part in a general urban continuum,” said Adam, thinking out loud, as we both peered down into the construction site. THANK YOU SO MUCH FOR YOUR GREAT SITE , AT 85 YEARS I DO REMEMBER A GREAT DEAL OF YOUR ARTICLES CONTENTS , I WAKE UP DAILY WITH SOMETHING THAT IS TRUE AND INTERESTING , NOT THE USUAL FICTION, I WAS BORN IN MANOR PARK , MY GREAT GRANDFATHER WAS CHIEF RABBI OF BEVIS MARKS SYNAGOGUE , MY FATHER WHO LIVED TO 100 WAS BORN IN KIRBY STREET POPLAR ,WHERE HIS FATHER HAD A BUILDERS BUSINESS, AND RUN A SOUP KITCHEN , I DO HOPE AND LOOK FOREWARD TO MANY MORE OF YOUR ARTICLES RAYMOND BINES. 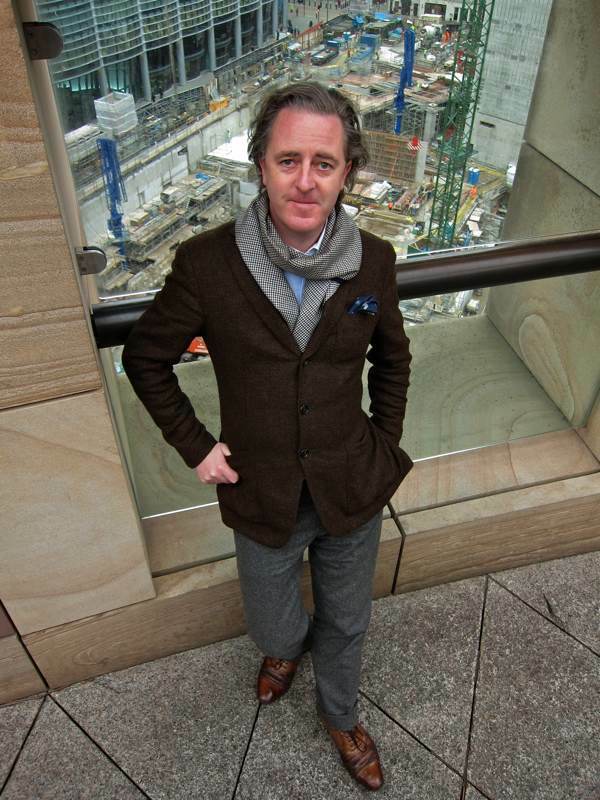 Good to have such an “keeper of ancient treasures” like Mr Adam Dant! Lovely pair of bats again Adam . . . definitely the best booted cartographer ! !